Another wall I made over the summer. 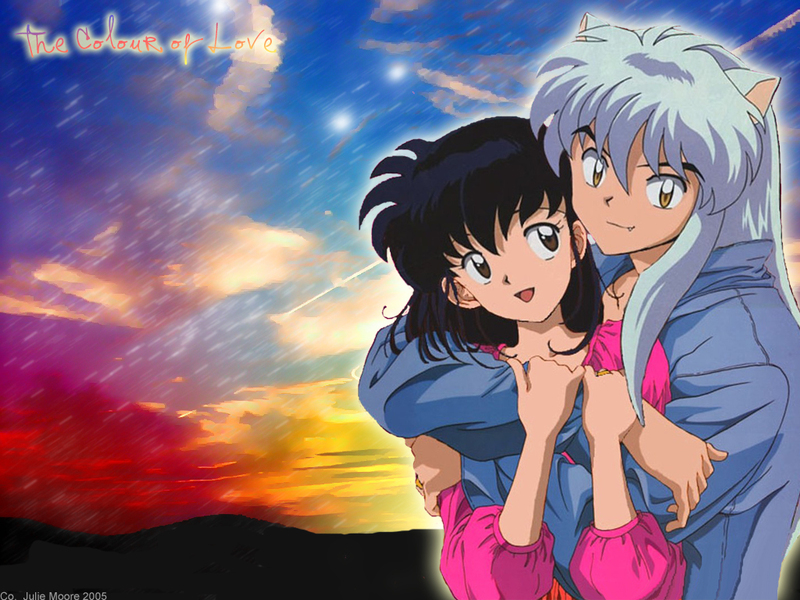 THis is Cute XD Mmm InuYasha in Denim XD The background is very pretty... did you do it yourself or get it from a stock photo and filter it? well the bg looks ok, but the charas don't fit that well on it especialy not with that glow. The background is nice !! Look so real !! I love it !! Thank for sharing it with us !! The background color is nice and shine ! The glow effect around Kagome and Inu is cool too ! Inuyasha with a blue robe on? Wow. This is really cute. I saw another picture like it. Different background though! It's still very cute! Is that Kagome with short hair? Just a question. Great job! Wow... who did share this pic? i love this one--it's so cute! I luv the image but I can't say I care for the background as much. The colors are to intense and draw your attention away from the charcters. I like is very much!Thank you for you posting!